Upscale Area Restaurant Facility with All Infrastructure Ready to Go! Selling Restaurants presents wonderful restaurant facility with all the hard work done for you already. It has a large and wide hood system for either baking or cooking. It has two walk-ins - freezer and cooler and a grease trap in place. Beautifully finished ceiling and an ADA bathroom. This space is ready for the finishing touches and without all the delays and hassles of permits. It would cost at least $100,000 to get this facility to the level it is today. This is a perfect Roseville upscale center in an upscale neighborhood with neighboring restaurants, including Starbucks, doing upward to $3.5 million annual sales. The center is on a major street surrounded by schools, hospitals, offices and million-dollar homes - or at least they use to be million dollar homes - humor. The frontage street is one of the busiest in Roseville with this broker guess the daily car count must be in the 40,000 range. This is Location! Location! Location! This was a very successful 5 year French Bakery and Deli doing more than $450k annually. But the owner sold it to an individual who quickly ran it into the ground in less than a year. 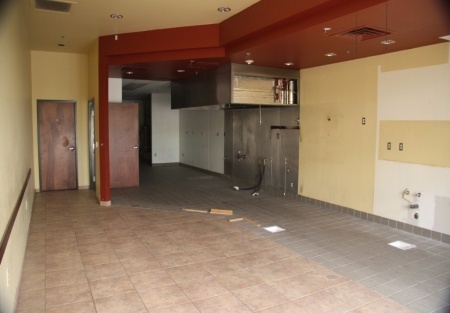 Buyer have had architects quote less than $70,000 to get this restaurant finished with used equipment. Why spend $300,000 or more and wait 6 months for city approval when you could open up in a very reasonable amount time for an absolute fraction of the cost? The landlord will issue a brand new lease and will consider free rent period and will even negotiate the rent! A breakfast, lunch and catering operation could do nicely here as well as the rent is below retail market in the area. Take the next step to register and complete the online confidentiality agreement to get the restaurant name and address. Also you'll be given previews to our new listings in the future, giving you the greatest chance to scoop in the best opportunities as they become available.